This Christmas I am especially touched by the fact that the King of Kings, the Creator of the Universe chose to make His redemptive entrance onto Planet Earth in the form of a baby. The very essence of a baby is humility. Yet God himself esteems the humble. Perhaps this is why Jesus instructs us, "Whoever receives one little child like this in My name receives Me." Matthew 18:5 In this issue of Baby Talk please be encouraged that through your prayers and generous gifts, we have received the first little child into Grace Babies' Home in His name. God bless you for your faithfulness to these little ones. What is an intern? Interns are young women, graduated from high school, who serve at GBH for 2-12 months. They love Jesus passionately and are looking for ways to serve Him. They may be taking a semester or year off school, or decide to spend their summer with us. What does an intern do? An intern lives at GBH. She helps in the daily care and nurturing of the babies (feeding, changing, bathing). She assists in circle time and preschool activities. She helps with cleaning and organization, and is counted on to pitch in with the night shift. Interns are mentored and discipled by our intern coordinator. They meet weekly to study God's Word and debrief their experiences in the ministry and in a new country. Why be an intern? Interns make an eternal difference in the lives of these babies and toddlers. Their worldview is widened as they acclimate to living in a foreign country and culture, and their heart is opened to the possibility of life service on the mission field. An interns' faith grows and stretches as so many little ones depend on them while they in turn, lean on God for strength and endurance. Having a Godly mentor who challenges interns to new levels in their faith helps them to grow and mature spiritually. If you are interested or know someone who might be interested in becoming an intern at Grace Babies' Home, please contact our YUGO office to request an application (619-336-9003). 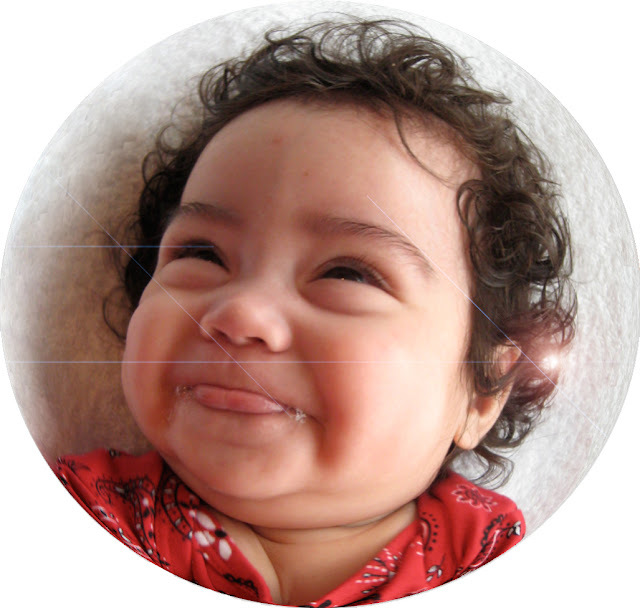 On Tuesday, November 8th, the Mexican social services placed six-month-old Natalia into our care. Though she was covered in chicken pox and struggling with some health issues, she instantly melted our hearts with her contagious smile and sweet disposition. Three weeks later, God, in His perfect timing and will, found a home for her and a family to love her. She will always have a special place in our hearts. Please join us as we continue to pray for her and her new family. On Saturday, October 15th, we hosted officials and delegates from the Mexican government for an inauguration of Grace Babies' Home. The day included speeches, a ribbon cutting, and a tour. The following Saturday, we opened Grace Babies' Home to the hundreds of people who have been a part of bringing the vision to fruition. We opened the downstairs and both of the missionary residences upstairs. As people toured the home, cribs were anointed with oil and prayers were made for the babies, the staff, and the future of the ministry. If you were unable to attend this day, but would like to pray over the home, you can view the virtual prayer tour on the GBH Blog. Are you struggling to find the perfect Christmas gift for that special someone? Something thoughtful and memorable? Consider giving the gift of Baby Sponsorship. For just $40 per month, your special someone will become a member of our extended GBH family. He/she will receive a Baby's First Christmas ornament with Natalia's photo on it and quarterly baby updates from GBH. To give the gift of Baby Sponsorship, click here. - Praise God for the safety of all who visited GBH for the Open House. - Praise God for the arrival of Baby Natalia. - Praise God for the arrival of Donna Werdenie, a member of our team. - Pray for Baby Natalia's transition to her new family. - Pray for God to orchestrate the arrival of our next baby. - Pray for God to raise up monthly baby sponsors.